Saturday was an emotional day. The long-awaited visit of the Fji Bati on the day when Hornets celebrated both its successes in 2013 and the richeness of the history of the game in Rochdale made for a stirring cocktail that proved just how deeply this game of ours can get under your skin. For us here at TLCRF80mins, the day was epitomised by three moments. After the pre-match coin toss, the sight of world Rugby League legend Petero Civoniceva embracing 'Rochdale's own' Voate Drui was a moment to savour. Two Fijian brothers in Rugby League bridging both generations and hemispheres. You'd have to have a swinging brick for a heart not to be moved by the warmth of ths gesture. Seeing Fiji Bati line up for the kick-off. The idea of 'playing Fiji' had existed as a great concept - but here it was, for real. A stunning list of NRL names, led by a true legend of the game. The game itself was almost incidental. Due to holidays and work commitments, it was an unfamiliar Hornets side that strove superbly against an unstoppable demonstration of Fijian power and pace. But strive they did. Led from the front by a spectacularly combative Chris Hough, a Hornets side wearing its Fijian tribute jersey for the last time gave it everything they had. The ever-reliable John Cookson, guest prop Adam Bowman and a returning Dayne Donoghue went toe-to-toe with a world class pack, landing some big hits; the right side double-act of Danny Davies and Gaz Langley took it to Wes Naiqama and Akuila Utate all afternoon and Wayne English proved that it doesn't matter who you are, you WILL get skittled by him at some point (he pulled off two world-class one-one-one tackles in the first half that brought the crowd to its feet). Ultimately, though, this Bati side is something special. With speed and size all over the park, Rick Stone has an exciting team on his hands and they were a class above anything we've seen in Super League this season. Let the record show that Fiji Bati scored 14 tries: three for Korbin Simms, three for lightning-fast man-of-the-match Kev Naiqama, two for Jason Bukuya and one apiece for Akuila Uate, Apisai Koroisau, Peni Botiki, Newtown's Kane Evans, Semi Radradra and Vitale Roqica. Wes Naiqama kicked five goals, Savani Jeqesa four and Koroisau and Radradra one each. Hornets came closest to scoring at 74-nil when an inch-perfect Chris Hough grubber was snaffled and grounded by Matty Crowe, only for referee to disallow it for a borderline offside. On a special day, a bit of a churlish decision, we feel. Final Score Hornets nil - Fiji Bati 78. Attendance 920. Quoted in League Weekly, Rick Stone said: "The score didn't reflect the effort Hornets put into the game. They shirked nothing in defence and we've got a few bumps and bruises to show for it. Full marks to them -they put in a terriffic effort. We wanted this game to get a feel of the stadium ahead of the Ireland game and also to connect to the local community and we did both of those, while getting a very good hit-out against a Hornets side that was fully committed and provided us with exactly what we needed… I would like to publicly offer our gratitude to everyone at the Hornets club for giving us this opportunity." After the game the Bati were friendly, gracious and happy to pose for photographs, sign people's programmes/flags/bodies and chat about the game and the forthcoming World Cup. At the close of the post-match speeches, Chris Hough invited the Fiji side to share with us their team hymn and they generously treated us to a poignant end to a fantastic year. Stunningly sung with heart, soul and passion, it was a goose-bump inducing moment that will live with those present forever. Tears were shed. Joyous, emotional stuff. Our best wishes to the Bati for the contest ahead. Next Monday, Rochdale becomes Suva for the day. They're our brothers too, now - let's get behind them. It's not often we get to write a match preview like this. On Saturday Hornets are proud to welcome the Fiji Bati 'home' to Rochdale. Whilst this may not be the most important game to be played at Spotland in this remarkable year, it is by some way the biggest. Fast forward to today. 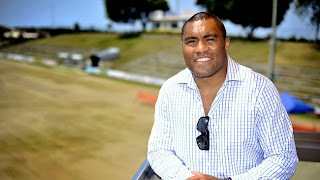 Talking of names that make the hairs on your neck rise, Fiji are led by one of the biggest names in World Rugby League - Petero Civoniceva. Petero retired from the NRL at the end of 2012, but has spent this year with Queensland Cup side Redcliffe Dolphins. If you need reminding of the sheer pedigree of this guy, he played in the NRL for 15 years (235 games for Brisbane Broncos, 74 games for Penrith Panthers), played 33 times for Queensland and 45 times for the the Kangaroos. A genuine Rugby League legend. If that's not enough, the Bati pack includes the wrecking ball skills of the Slammin' Sims brothers Ashton, Korbin and Tariq who bring a wealth of heavy-duty NRL experience. The turbo-charged Fiji backline comes packed with pace in the form of Uate, Koroibete and the Naqaima Brothers Kevin and Waisale. But most impressively to us tragics here at TLCRF80mins, the squad includes former Newtown Jet Kane Evans. Fiji's potent strike threat was evident in In their final warm-up game before leaving for the UK, as Wests Tigers Fijian rocket Marika Koroibete bagged a hat-trick as the Bati blitzed a Fijian Residents side 50-12 in Nadi. Fiji coach Rick Stone said the game was "… a good warm up…" - we assume he meant for the challenge posed by Hornets. “Having a game will give us more confidence and moving us forward, get some combinations and we will be a lot better for the RLWC," said Stone. “The squad has a lot of experience among them as the majority of the players are based in overseas clubs who have a very good exposure of rugby league such as Petero in the squad will be a real boost the World Cup." Speaking in the Fiji Times this week (not a paper we get to quote often), Stone pledged the total commitment of his squad to carrying Fiji's colours with pride in the UK: "While we cannot predict the results of the matches, what we can assure the public is when the team go out to battle, they will give their best." Trust me, Rick, to us Rochdalian Rugby League fans it doesn't get much better. Thanks to everyone who made Sunday such a special day. 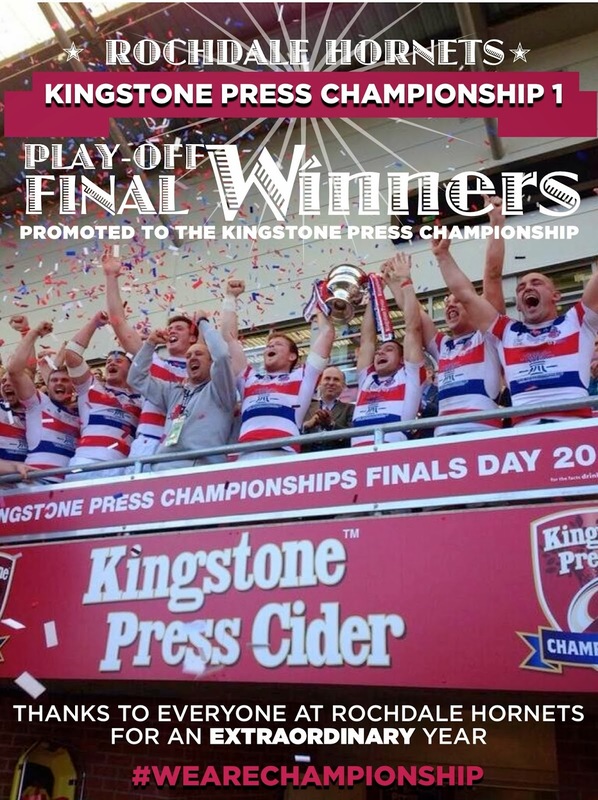 We've begged, borrowed and nicked a few pictures of the day and created our blog's own small video tribute to everyone at Rochdale Hornets, on and off the field. We have a great club - and a great challenge ahead. But let's enjoy the moment.